I started my search for the ideal cloth diaper just after I had my first son. For us, an AIO (all-in-one) was the best choice in order to keep things simple for my hubby. I learned early that too many diapering steps would frustrate him and cause him to abandon ship. Recently, I was introduced to Monkey Doodlez. This Canadian company offers parents three different kids of convenient diapering choices: AIO Bamboo($24) and Micro cloth diapers($23), Micro pocket diapers and swim diapers($20.75). For our test Monkey Doodlez sent us a Bamboo AIO diaper. 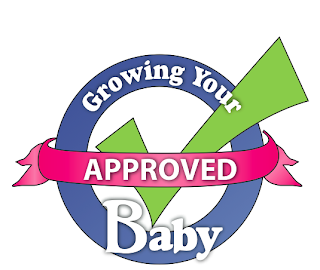 In order to make sure that we were able to test the product efficiently, I purchased another Bamboo diaper and 2 Micro cloth diapers from the company. On arrival, I was very impressed with the quality of both diapers. Monkey Doodlez uses microfleece on the inside of their diapers for comfort. While the micro AIO is made 100% polyester, the bamboo AIO is a blend of Bamboo (33%) and polyester (67%) which offers silky softness matched with durability. Using microfleece is genius! Not only does it not stain, but most poops fall right off the diaper instead of sticking, making cleaning up not too bad. And unlike other diapers I’ve tried the Monkey Doodlez never smell or need to be washed twice even after a couple of days in the soaking bucket. My hubby and I have found that both diapers have a nice fit without the bulkiness that sometimes comes with cloth diapers. They also feature a generous strip of Velcro that ensures a good, secure fit for babies of all sizes. I believe that success with cloth diapering comes from having the right tools. Stick with fragrance free detergents. For babies with sensitive skin choose All Free Clear products. Do not use Borox or bleach. Both of these products are harsh on cloth diapers. They will break down their fibers and reduce their life. Also, they are rough against your baby’s skin. Avoid washing cloth diapers with soap products since repeated washing with soap creates a waxy build-up that reduces the absorbency of cloth diapers. 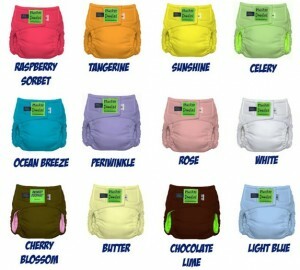 I would recommend these diapers to any couple looking to start cloth diapering. They are easy to use, easy to clean and comfy for baby. Everything comes in one piece, so there are no extra attachments to loose. Our little tester is 9 months old and weighs 22lbs. He fits perfectly into Monkey Doodlez Medium long diapers. 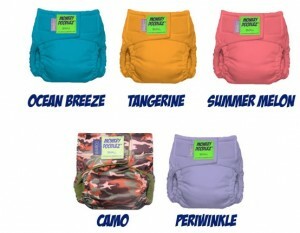 Cloth Swim Diapers: 8 Options for Your Little Fish!